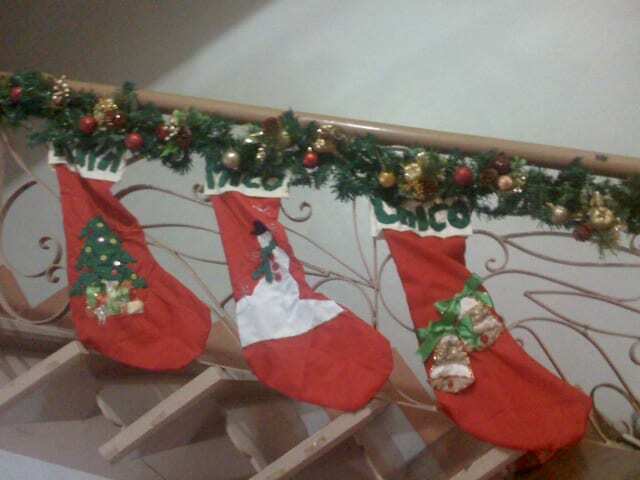 Almost every year, every Christmas, I had this little project for the holiday, two or three years ago, I made my own decors (and still usable now). Last year, I made socks for the kids (my cousins included, 5 socks all in all). Every year it was tiring and stressing, I always ended up with so much pressure to finish it before the clock strikes twelve(cramming, yes). This year, I thought I am finished with it (or so I say last year) but I have Chico (and Dylan too) to sew (their Christmas socks). And now.. hours before the “twelve” the socks are not finished yet! Chico’s sock is done but Dylan’s not yet, good thing, his mom opted for a garland design, which will be a lot easier compare to last year. My tools…and the finished socks..
loved how your socks turned out mare. decorating for xmas is indeed a fun tradition. 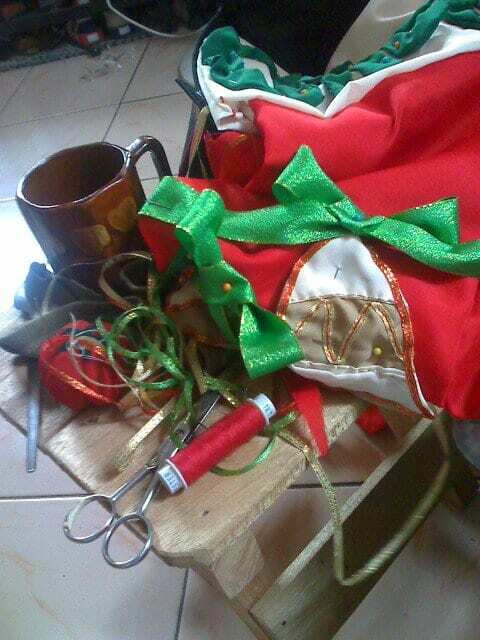 hopefully, this xmas, makapag decorate na ako. with sam helping me out. gawa ka rin kaya ng Handmade Crafts blog? dun mo ipublish lahat ng projects mo… ayan, meron ka na idea for another blog courtesy of me. how about that marce? so pretty sis you so talent! gagawa ka ulit ng christmas stocks for this Christmas?